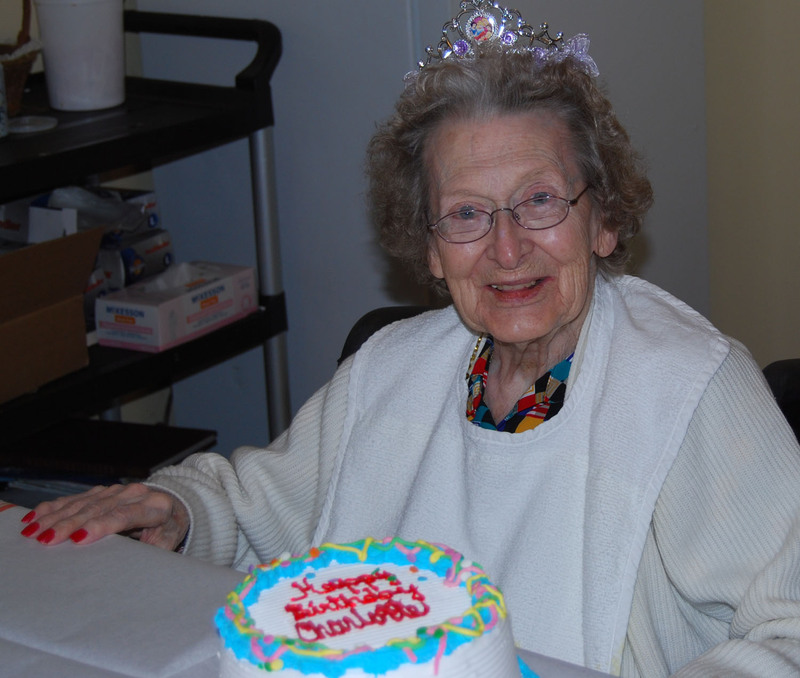 Charlotte Eber turned 95 years young today. She moved from Lynhurst NJ 2 years ago. She was living at Greenpoint in Liverpool, before moving to James Square last year. She has adjusted well to her new surroundings. We celebrated with Ice Cream Cake and opened birthday cards. This entry was posted on September 21, 2008 by lpooljim in Family and Friends.